December | 2014 | shigekuni. La Place de l’étoile – translated! Well, not all of it. Pepe Karmel over at AGNI online has translated the first few pages of Modiano’s amazing debut novel into English. If my awful review has convinced you to take a look, go there now. According to them, Pepe Karmel was the first to translate 2014 Nobel laureate Patrick Modiano into English. 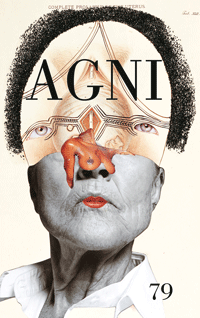 AGNI, which apparently also (mainly?) has a print edition, is published at the College of Arts and Sciences at Boston University. 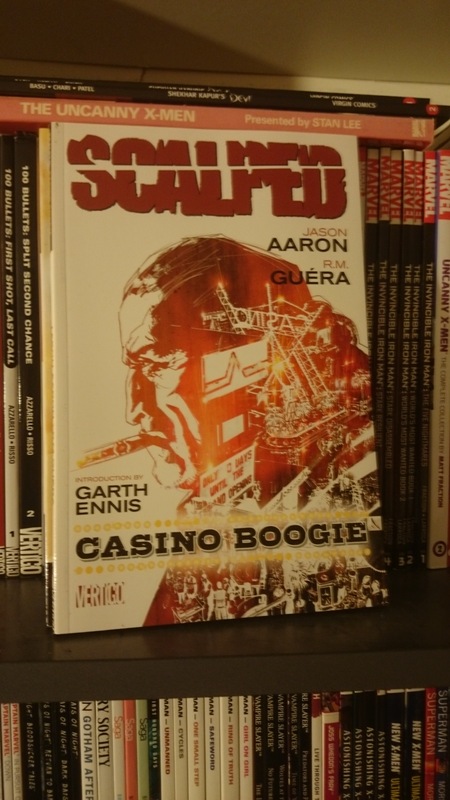 Today was the anniversary of the Wounded Knee massacre, which I mentioned in my review of Scalped. If you are interested in reading more, the Zinn Education Project has some resources for you here. 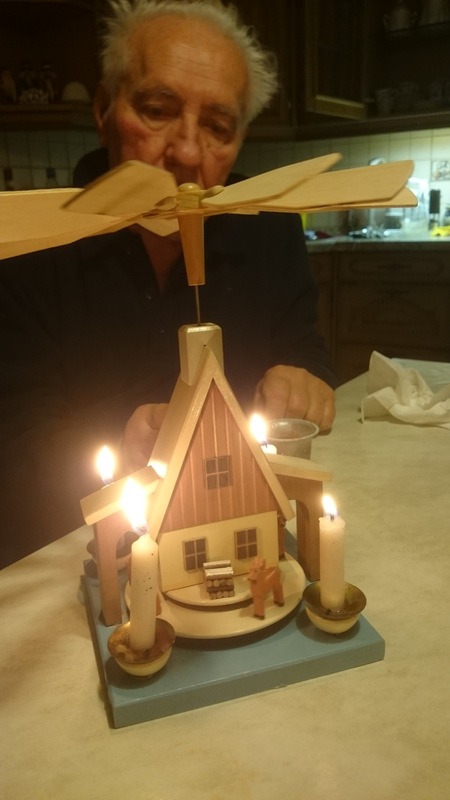 On the light side this year. Some lovely things. 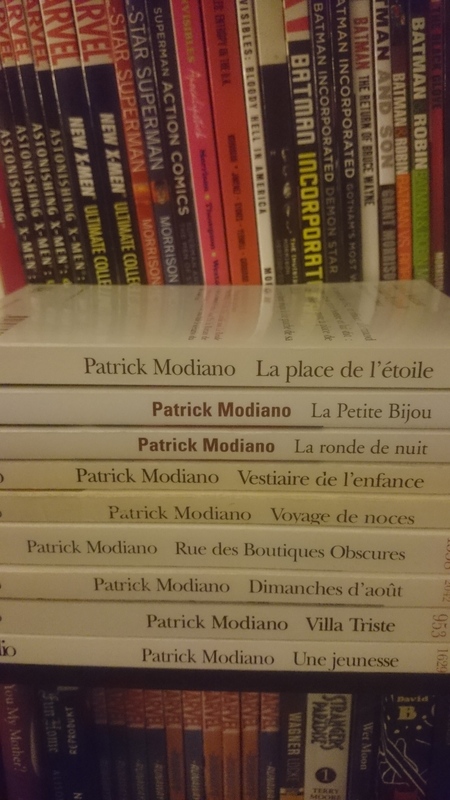 Modiano, Patrick (1968, édition revue et corrigée 1995), La place de l’étoile, Gallimard. After Patrick Modiano won the Nobel Prize in Literature this year, French friends of mine expressed their satisfaction on Facebook. Finally! A readable and popular writer winning a prize infamous for rewarding the difficult and thorny. In my opinion, they couldn’t have meant the recent history of the prize (cf. my rant here), but then, writers from other literatures are often regarded as difficult by that fact alone, regardless of how well their books read. And over the past 4 or 5 decades, few literary writers have been as consistently and convincingly French as Modiano, whose vast and somewhat repetitive oeuvre offers small treasures of memory, walking down French memory lane. Small episodes, misremembered, identities hidden and revealed, the past inescapable but sometimes difficult to retrieve. Drawing on such sources as Maurice Halbwachs and Henri Bergson and incessantly commenting upon French literature and culture, he has become more than a mainstay of French literature. There is practically no newspaper that has not run an interview with him, including such venerable literary magazines as Paris-Match. Documentaries follow him through small French streets as he rediscovers places of French memory. He is that rare creature: the literary writer who sells well, gets great reviews and all this without the sophomoric need to shock his audience like Amis fils or Philip Roth do. A comfortable, popular writer, comforting the French audience. Can you feel me slowly dying of boredom? However, none of these descriptions, apart from those dealing with memory, apply to Modiano’s debut trilogy, and especially to his explosive debut La place de l’étoile, an unbelievable fever dream of history and literature, of memory and invention, of being Jewish and being French, “JUIF français,” as its narrator exclaims near the end of this novel. 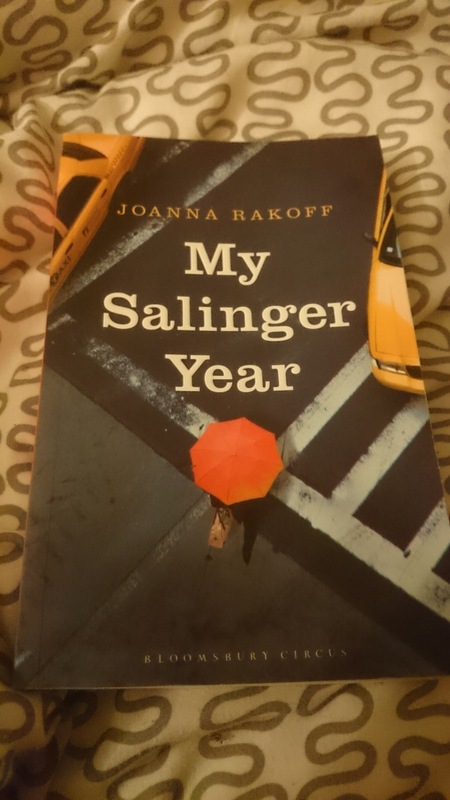 I have never read a novel like this one, a novel dealing with the aftermath of the Shoah, and with the resulting challenges to identities. The two books that come close in some small way are Modiano’s own follow-up efforts La Ronde de Nuit and Les Boulevards de Ceinture, both of which are less heated and angry, less over the top playful and insistent, but they can be seen as continuations on themes brought forth by La place de l’étoile. Modiano’s debut is not just a postmodern novel that combines parody and pastiche and piles reference on reference, it’s also clearly powered by the pain and the difficulties of Jewish identity after the second world war. Playful novels taking on the Shoah abound, but books both deeply steeped in a knowledge of literature and history, and fueled by a need to belong and to find an identity in a country that participated and supported the murder of Jews. I was not happy with an overall bland writer like Modiano being deemed nobélisable, but his debut novel is truly singular and masterful. It’s so harsh and poisonous that it was not translated into German until 2010. A great book. Read it. The plot of Modiano’s novel is difficult to summarize, not just because so much action is crammed into ~200 pages, but because much of it is contradictory and strange. As Charles O’Keefe pointed out in his slightly odd study of Modiano, there are “problems of understanding at the mimetic level” – Modiano’s main concern is intellectual, not narratological. 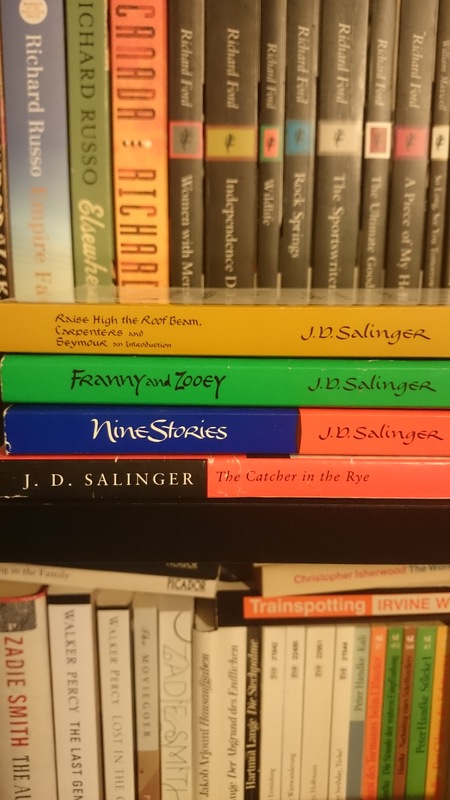 There are whole sections whose main purpose is to provide a pastiche of this or that writer, or to summarize this or that cultural phenomenon, sections that pretend to provide a part of the story. The narrator is Raphael Schlemilovich who may or may not have lived during the Occupation of France, who may or may not have worked with famous collaborators and antisemites, and who may or may not have been the lover of Eva Braun. 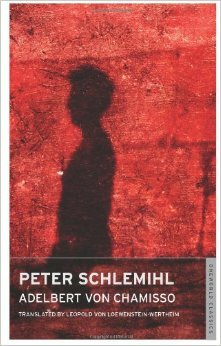 The postwar history of Schlemilovich is more firm. In it, Modiano’s protagonist makes a big inheritance, travels France and Europe with his father, a Jewish-American businessman, opens at least one brothel and traffics white, pure-bred French women to become prostitutes in others. 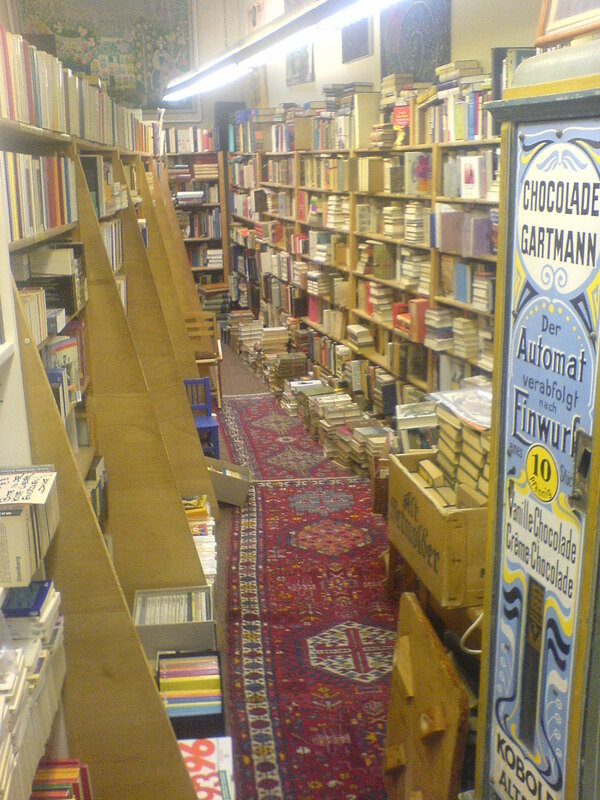 He becomes a student and a teacher, a writer and a collector of books. There’s a lot of life to be lived and in a dramatic turns of events, eventually, he ends up in Israel. Explaining any of the plot or telling you how one thing leads to the other would be to spoil your fun. Trust me, it’s a wild ride – and one not entirely interested in consistency. As Ora Avni has said, “literature, like dreams, is not subject to the same logical imperative to choose from among several contradictory alternatives.” Modiano offers us multiple realities at the same time. Places become mutable, servants to narrative and memory. This is not to say that Modiano’s novel gives us empty intellectual blather that is as unreadable as it is hard to summarize. I may be partial to that kind of book, but La place de l’étoile is not it. The story is gripping, the prose intentionally dips into melodrama and eroticism, as well as into slapstick and more elaborate humor. Reading Modiano’s later work is a sophisticated enjoyment, the dry fun of measured intellect. His debut is more riotous fun, but like the bar in From Dusk till Dawn, it’s fun constructed on an abyss of darkness. There are many literary and historical references, too many to recount. The three main intertexts, however, are Adelbert von Chamisso’s Peter Schlemihls wundersame Geschichte (there’s a translation into English by Leopold von Loewenstein-Wertheim, published by Oneworld Classics, maybe you should seek it out? ), Marcel Proust’s À la recherche du temps perdu and Louis-Ferdinand Céline’s work, particularly the infamous Bagatelle and the more widely accepted and praised Voyage au bout de la nuit. Chamisso’s influence is underappreciated in commentary on the book. While it’s true that Modiano’s spelling puts his protagonist closer to the yiddish word “schlemil”, meaning idiot or fool, Chamisso’s book provides and interesting angle. Chamisso, while publishing his novella in German and exerting a certain influence on German literature (he was friends with E.T.A. 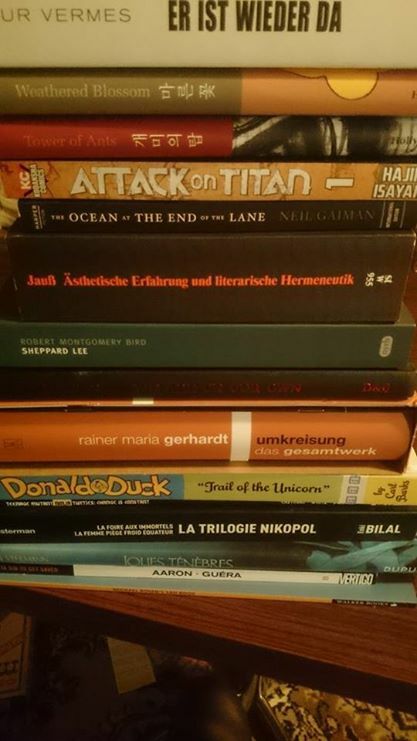 Hoffmann, of “Sandman” fame; and the main German award for foreign-born writers is named after Chamisso), was French by birth and kept returning to France. A nobleman, he fled revolutionary France for the more accommodating arms of Prussia, where he worked in literature and botany. His only novella recounts the story of a man who sells his shadow to the devil, manages to keep his soul, however, in a mixed bag of bargains with Satan. It was written to provide a metaphor for Chamisso’s pain of losing his home and living in exile. His character, the eponymous Peter Schlemihl, roams the earth, infinitely rich (the bargain won him a bag of infinite gold), but rejected everywhere he went. 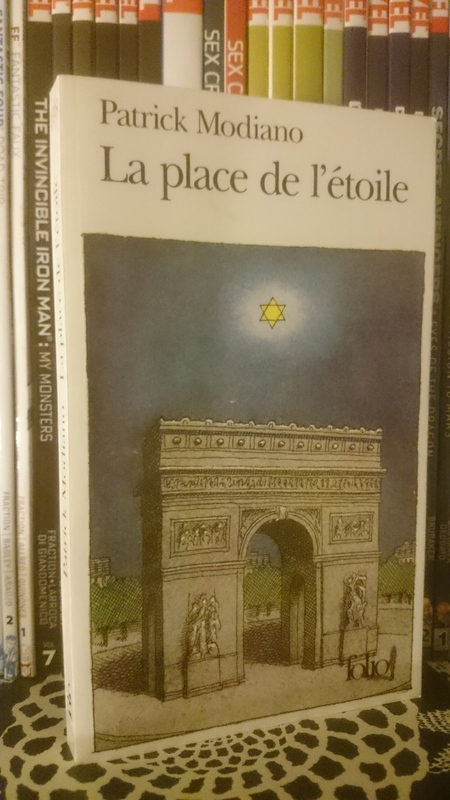 For a book that trades as heavily in antisemitic stereotypes as La place de l’étoile, this wandering character offers an appealing mixture of pure-bred French nobility and a character who is close to the antisemitic stereotype of the rich wandering Jew. Not to mention the fact that for parts of his novel, Modiano’s Schlemi(h)lovich constructs himself as being in a sort of permanent exile from France, and being, quite literally, a rich, wandering Jew. Modiano’s novel appropriates and discusses the rich history of French antisemitism, from the middle ages to the French complicity in the Shoah. A character that both fits the stereotype and was conceived of, written and identified with by a French nobleman is such a great fit for this book as to appear an invention of Modiano. Except for the fact that, delirious narrative aside, there’s little that’s actually invented out of whole cloth by Modiano. His method is one that fuses reality and literary history, that uses literature in the same way a historian would employ his sources. And those sources don’t end with Chamisso. 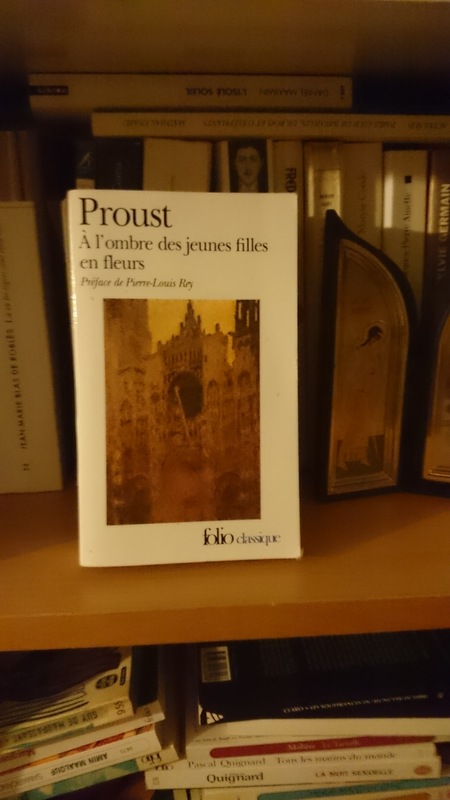 Another source, perhaps the major source, is Proust. This one keeps turning up in the book, as a major Jewish intertext of whose influence the narrator has to be purged. Some parts of the influence are pastiche or parody. 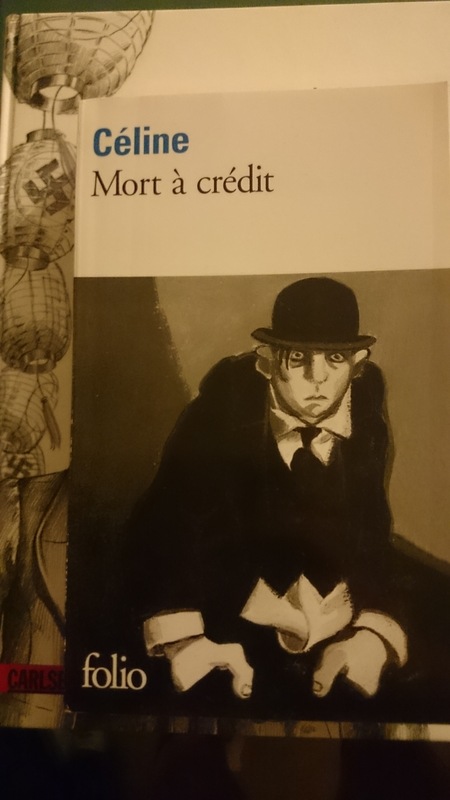 Proust’s novel begins with “Longtemps,…” and Modiano begins with “C’était le temps….”. He revises the George Sand scene from Combray by explaining that “Maman me délaisse pour des joureurs de polo. 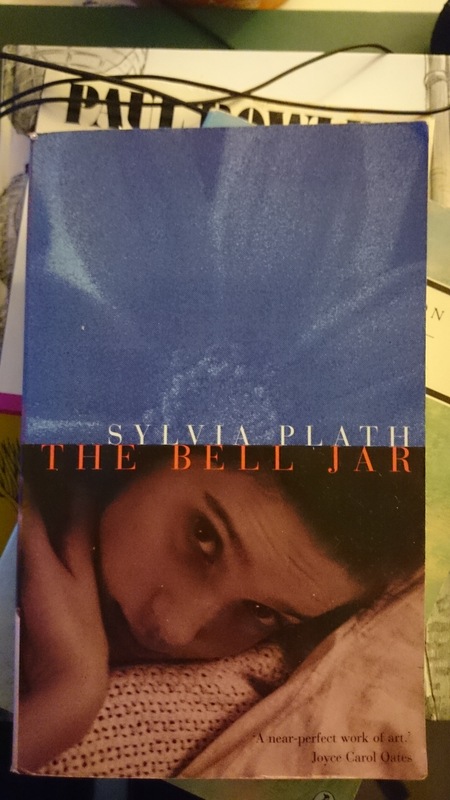 Elle vient m’embrasser le soir dans mon lit, mais quelquefois elle ne s’en donne pas la peine” and in one of the most erotically charged parts of the book, his admiration of a French nobelwoman is a whole glorious pastiche of Proust’s descriptions of the Guermantes in his book, until he breaks off the scene by having the heiress accost him with bare breasts and a hunger for a Jewish lover. This juxtaposition of elegance and description with racist, antisemitic or misogynist crudeness serves to keep the novel organized. Its chaos is anything but. Modiano doesn’t sneak pastiches into the book. He announces them by a change in style and mood, and announces similarly when they have passed. I’m sure there are parodies or pastiches that I’ve missed, but most are rather forward and open, like the parody of Celine’s style in the opening pages. These breaks additionally keep us on our toes. The use of Proust is more than decoration, it’s an active agent. The constant use of Proust is nagging us to read Modiano’s novel in terms of memory, of self creation and décreation, to borrow a term from Simone Weil. 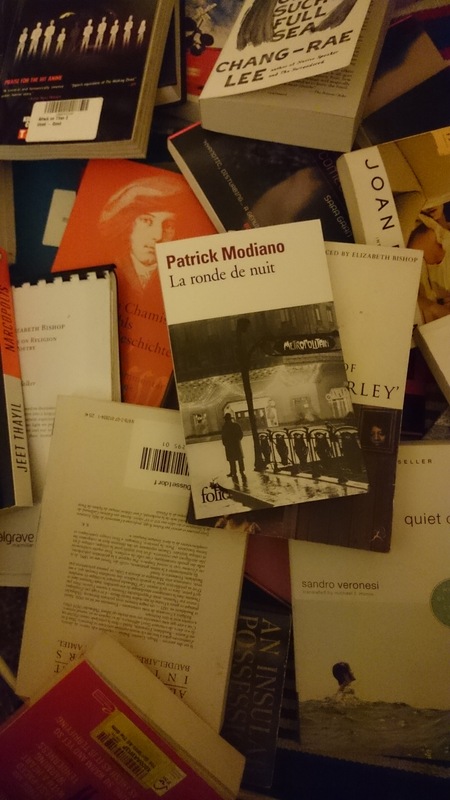 Modiano dissolves all involuntary memory in a present that basically co-exists with the past, an effect that transposes an interior mechanism of Proust’s into exterior action and narrative. With Bergson, Proust saw memory as fusing with the present in a creative, if involuntary act. Modiano goes ahead and just fuses everything in a more or less co-temporary plane. For the question of WHY Modiano would do such a thing we could offer different answers. But this resumption of a past life is poisoned by a cruel anachronism: [Marcel’s] grandmother is dead. For the first time since her death […] he has recovered her living and complete, […]. For the first time since her death he knows that she is dead, he knows who is dead. […] This contradiction between presence and irremediable obliteration is intolerable. 31 bis et 72 avenue Foch. 57 boulevard Lannes. 48 rue de Villejust. 101 avenue Henri-Martin. 3 et 5 rue Mallet-Stevens. 21 et 23 square de Bois-de-Boulogne. 25 rue d’Astorg. 6 rue Adolphe-Yvon. 64 boulevard Suchet. 49 rue de la Faisanderie. 180 rue de la Pompe. This is a sudden return to reality, to what Pierre Nora called “Lieux de Mémoire”, places of memory. If you want to get a brief but succinct summary of Nora’s role in creating a postwar political and historical memory in France, I recommend Hue-Tam Ho Tai’s essay “Remembered Realms: Pierre Nora and French National Memory” – overall, suffice it to say that France has been particularly enganged in gauging the workings of cultural and public memory and that places, be they monuments or remembered, enshrined or described places, play a central role in this. But to get back to Chamisso and Proust: Modiano’s project is private as well as public (and I don’t mean odd ideas like O’Keefe’s theory of fratricide). It’s about the identity of being a French Jew. A Jew in a France that, as reactionary intellectuals like Maurras have said, can only be understood by those whose roots are deep in French history, excluding the “wandering Jews” – Jewishness can be an involuntary identity, as many German and French Jews learned during the Third Reich, when it was declared that everybody’s a Jew who has Jewish ancestry – not only those who openly identified as Jews. There’s a sense in which Jewishness is circumscribed by writers about Jewishness, that’s it’s defined by others – and Modiano’s Schlemilovich takes on the role of those who do the defining for parts of the novel. This leery attitude towards history writing is also one of the ways in which Modiano sets himself apart from later, lesser works. The bloody, overly sexualized reality of Jonathan Littell’s barnburner is anchored to an idea of reality that equals or exceeds historiography (see my review of HHhH). No such pretense makes it into Modiano’s pages. The book’s furor and inventiveness – as well as the age of its 23 year old author – preclude it from tying up its issues in a neat knot. Echoing many readers, its last lines are a declaration by Schlemilovich: “Je suis bien fatigué”. The followup novel, published only one year later, La Ronde de Nuit, doesn’t neatly continue the book’s trajectory, but does elaborate on its themes in a language not far removed from the debut. It’s about a double agent in Vichy France, but it does not name and use places as heavily as the latter third of La place de l’étoile. Les Boulevards de Ceintures, the third novel, is more explicit in naming places and dealing with the occupation. Like the debut, it delves deeply into issues of Jewish identity, of guilt and collaboration. At its center is a father/son relationship, which doubles as an analogue to the French/Jewish identity conflict. How, as a writer in a France that persecuted its Jews, do you construct a Jewish identity that is also a French one? The conflict is overwhelming, and the dark and involved language of Modiano’s first three books, especially of his debut, is testament to those difficulties. Boulevards de Ceintures ends with the exhortation by a barman lecturing the young Jewish son, researching his past (and by implication, France’s Vichy past) that, in the protagonist’s words, “je ferais mieux de penser à l’avenir”. If we look at the rest of Modiano’s work, it’s as if Modiano’s passion and the pain powering those books burned itself out. There are book that work as reprises of smaller themes, such as the research at the heart of Dora Bruder that recalls the search in Boulevards de Ceintures, but the pervasive search for memory and identity is more anodyne in the later books, more personal, less political. Mind you, it still puts Modiano heads and shoulders above writers like Paul Auster, who was inspired by books like the 1978 novel Rue des Boutiques Obscures to create his New York Trilogy, but doesn’t invest it with any of the historical urgency that Modiano still drags through his books, even if it’s in a reduced, backgrounded way. It’s a disappointment if you come to later Modiano after being introduced to him through his amazing debut, but at the same time, knowing how Modiano framed and discussed the cultural and personal stakes of postwar identity helps read his books in a deeper context. 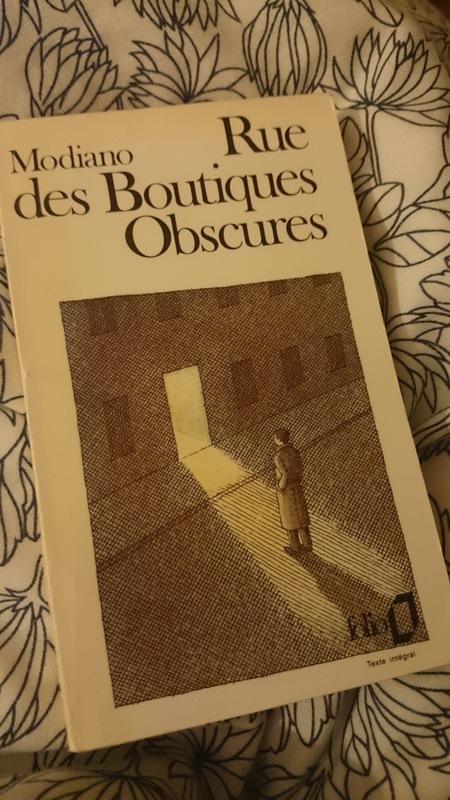 Part of my reading of Modiano’s work as one of diminishing returns includes the fact that all his best work happened within his first ten years as a writer, with La Place de l’Étoile and Rue des Boutiques obscures as standout milestones at each end of it. 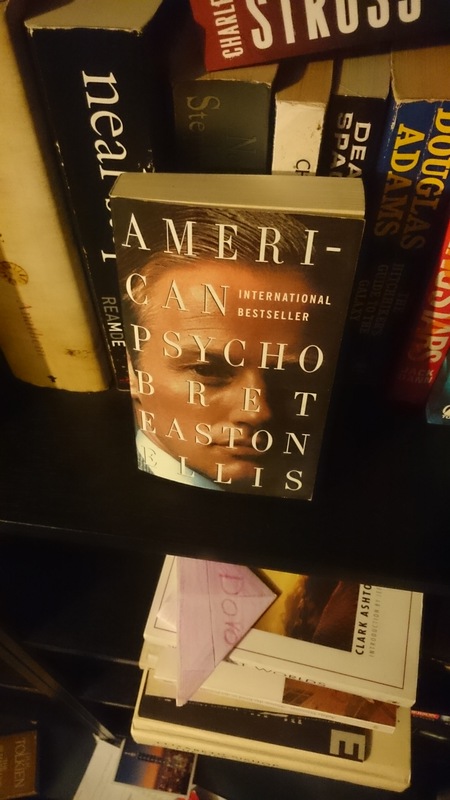 I have already explained that I consider his debut to be his best work, but there is another text that comes close, and it, too, was written in that early period. 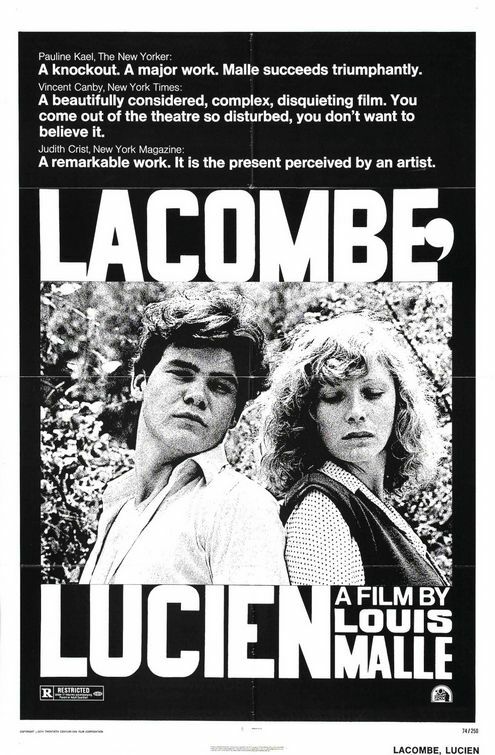 This work is the script for Lacombe Lucien (1974), which he co-wrote with Louis Malle. Now, while I am hesitant to proclaim the greatness of Modiano, I would suggest it’s fairly agreed upon that Louis Malle is among last century’s greatest directors. Lacombe Lucien is a transcendent movie, excellent from start to finish. From casting to script and cinematography, there are few faults to find with this movie. The story is centered around the eponymous Lucien, a strange boy living in a French village during WWII, who wants to join the Résistance to indulge his taste for violence, but is rebuffed. Instead, he ends up joining the “German police” or rather a French militia that resides in a villa and hunts down members of the Résistance. Immediately, he informs on his old school teacher, of whom he knows the role in the Résistance. Many of Modiano’s topics recur in the movie: the guilt during wartime France, the historical burden of French antisemitism, the lies and secrets. And as in much of his work, the focal character is a boy. 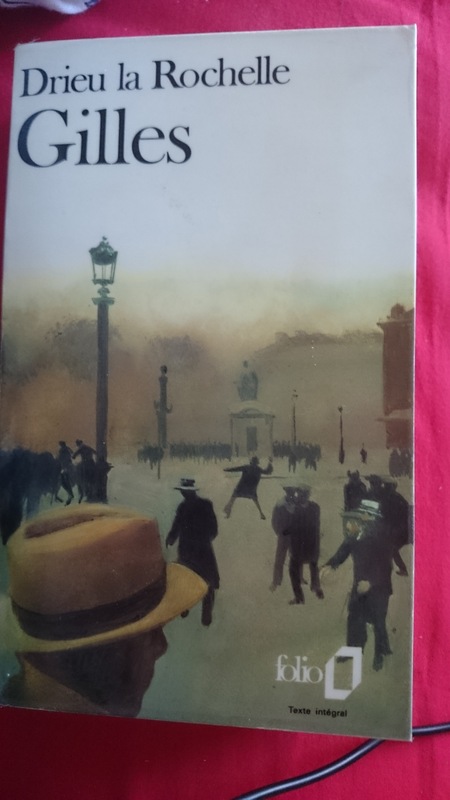 And while in most of Modiano’s work after the debut, stories of wartime France are cushioned in a framework of memory and remembrance, sometimes aiming, but obviously missing, for the poise, elegance and urgency of Proust, Lacombe Lucien‘s effect is immediate and stark. Much of the movie’s tension comes from its viewers (and secondary characters) never really knowing where this story would take them. Lucien is an unpredictable character, cold, cruel, yet at the same time possessed of a queer innocence. The movie reclaims much of the strangeness and oddity of Modiano’s debut. The characters in the villa are not meant to be realistic – there’s a famous bicycle champion, an actress, a small, angry antisemite, a horny, mildly disloyal servant with a lazy eye, a smooth black gunman, dressed like a Chicago mobster and the head of the operation, who employs his mother as a secretary. They might look like a joke, but they proceed with violence and efficiency, terrorizing the whole countryside. The slightly surreal quality that much of the movie has, the sometimes dreamlike sense of unreality is something that Modiano already perfected in his debut, together with the sexual politics of wartime antisemitism. There’s a blonde Jewish woman, who Lucien falls for immediately; she tells Lucien, in an intoxicated moment that she’s tired of being jewish. There are German Nazis in the movie but the only actual German we hear, apart from one phone call, is from the dialogue of a Jewish tailor who hides in the area. I feel like I’m doing a terrible job explaining the excellence of how the scenes and characters are constructed. The movie has an odd way of dealing with realism. It’s not just the strangeness of scenes and characters, sometimes Malle will keep the camera on a scene for long enough, that a sense of alienation creeps into the scene despite nothing odd having been added. One great example of this is an early scene, where a horse dies, and the villagers drag it onto a cart. This, already, takes quite some time, but then, Lucien is left behind with the horse, and he looks at it quizzically, caressing its face. It’s a frightening scene, it’s an encounter with animal physicality and death that shows us a clearer and deeper look into the desolation of Lucien’s soul than any other scene. To be clear, the movie is strange, surreal, but also highly realistic. Like Modiano’s other work, it becomes part of a process of collective memory, a contribution to critical debates about history, about the French role in WWII and so on. Yet, much as I might like to talk about this movie in terms of Modiano’s work, I don’t actually know how involved Malle was in the script. After all, Modiano, who was born in 1945, never lived through this period that was so important for his work. Modiano’s commitment is to cultural memory and its workings, not personal memory. Louis Malle, in contrast, was born in 1932, and has memories of being a boy in wartime France. 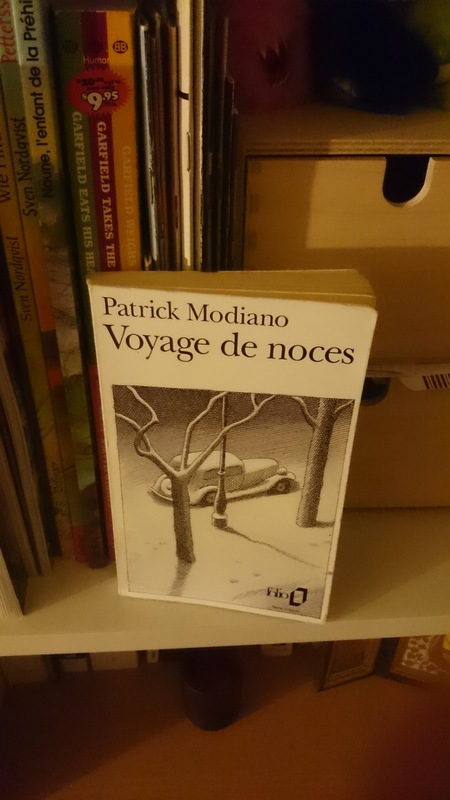 I’m obviously more focused on Modiano here, but as a whole, it feels as if it’s more of a piece with Modiano’s work than Malle’s and yet given his novels, Modiano was no longer able to produce this kind of work. Maybe he needed Malle to return to the heights of his debut. Lacombe Lucien is truly extraordinary. Noir and comics have been a happy marriage for a while now. Some of the best work in contemporary comics has been in the genre of the noir. Ed Brubaker’s collaborations with Sean Philips are among those books, but the gritty turn of comics in the 1980s has introduced a noir tone and atmosphere to many books that wouldn’t otherwise seem fitting. Batman and Daredevil have been titles where noir sensibilities have been exercised frequently, especially in Frank Miller’s runs more than two decades ago, and Brian Azzarello’s and Greg Rucka’s runs in more recent memory. However. 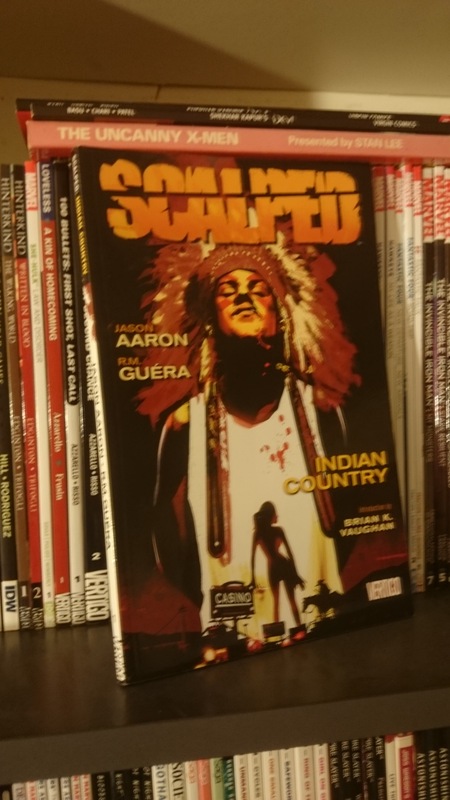 as much as I love Brubaker’s work on almost any title he touches, the most gutwrenchingly impressive use of noir tradition in comics that I know recently has been attempted by Jason Aaron in his incredible book Scalped. Scalped, which ran for 60 issues between 2007 and 2012, is set on an Oglala Lakota reservation, a thinly veiled cipher for the Pine Ridge reservation, exploring a world of pain and hurt, of loss and disillusionment, telling a story set in our time but rooted in a history going back centuries. 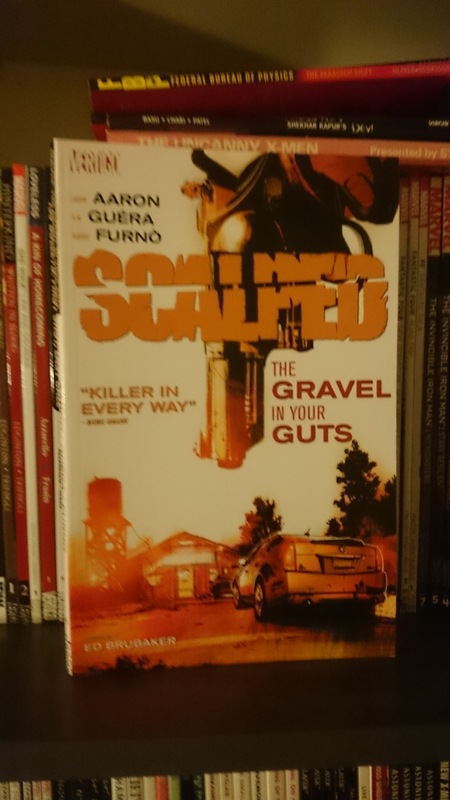 Scalped is collected in 10 trade paperbacks and I have so far read 4 of them, all of which are excellent. Aaron’s co-creator and main artistic collaborator on these books is Rajko Milošević, whose nom de plume is R.M. Guéra and whose pencils and inks perfectly complement the visceral quality of Aaron’s writing. As is usually the case, guest artists pencil additional issues; while this sometimes detracts from the overall work, the artists chosen for Scalped are perfects fits, especially the Italian artist Davide Furnò, who is chosen to draw some of the most painful and intense story arcs and manages to stick both to the template provided by Guéra and add some essential qualities to it. On a craftsmanship level, Scalped is a full success. Emotional, powerful, and a true collaboration between a writer and his artists. On other levels, it’s also a troubling book, as I will explain later. It’s an intense interrogation of violence and corruption among American Indians, written by an Anglo-Saxon American from Alabama, and illustrated by Serbian, Italian and Spanish artists. 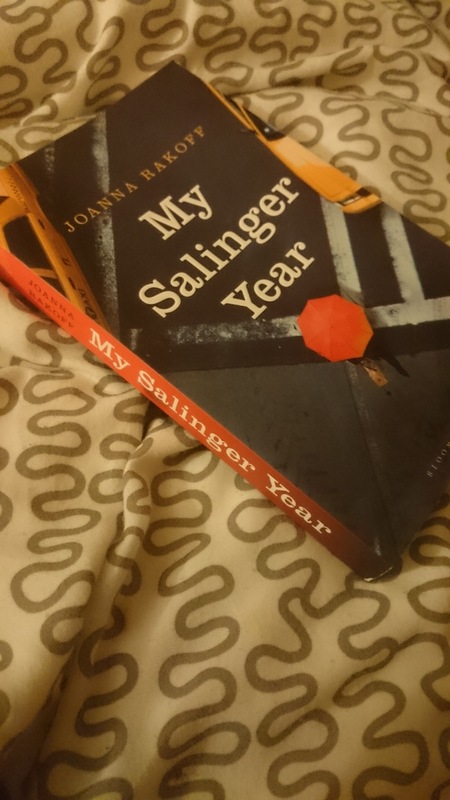 Its characters are constructed so close to noxious stereotypes that it creates an undercurrent of difficult politics running through the whole book. At the same time, it feels like Jason Aaron’s writing is poised to profit from that, using the troubling politics of the book’s creation to feed into the noir darkness within its pages. The result is an imperfect, problematic, but deeply compelling work of art. If you know of Jason Aaron, Scalped might not be the main reason for that. Much like it happened to Jeff Lemire with DC Comics, Aaron has been signed by Marvel and has been producing work on a multitude of titles there, most notably on Ghost Rider and a plethora of X-Men related titles. 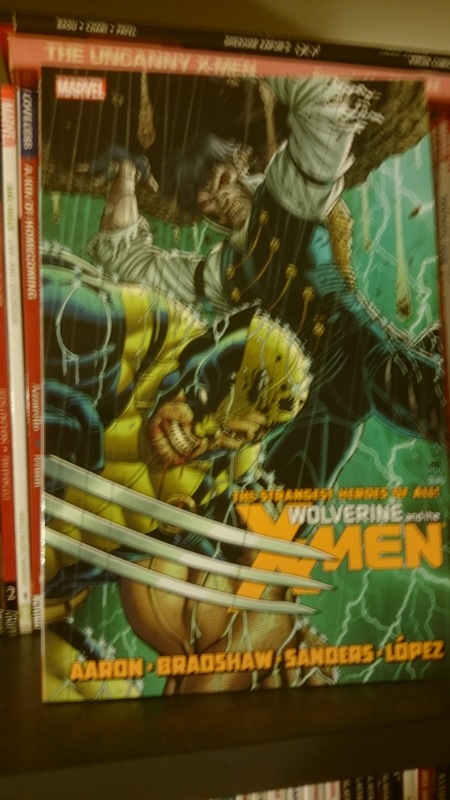 I can’t keep up with X-Men titles because for some reason Marvel decided to have several different books running in parallel, but if I could, Aaron’s nimble writing would be a good reason to at least keep an eye on those. Aaron does pulp incredibly well, and with a sense of humor and irony that escapes some of his contemporary masters of pulp like Rick Remender. While with Remender, even in fantastically inventive books like his recent creator owned book with Image, Black Science, one can almost see the self congratulatory masculinity and dour sense of exploitative jokes, Aaron’s books are rooted in a sense of place, a feeling of connection. He uses the literary traditions and markers of pulp, but he is sensitive to personal and social history. A lot of it is white, poor history. 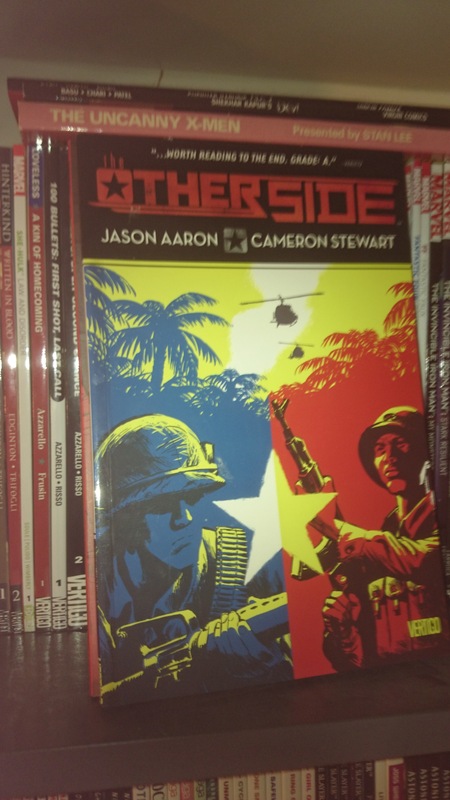 Aaron is not just a cousin of Gustav Hasford, the author of The Short-Timers (the less famous literary inspiration for Kubrick’s Full Metal Jacket), but his first major work (and my introduction to Aaron) was a graphic novel about the Vietnam War called The Other Side (2006) It’s clearly a beginner’s work, opting for pathos and sentimentality where it’s not needed, and he’s often bailed out by his artist, the underrated Cameron Stewart, but it’s still an impressive comic, attempting to tell the story of a misguided war by exploring the toll it took on the foot soldiers in it. It’s also a work that attempts to bridge the distance to the culturally and politically defined “other side” by also telling a story from a Vietnamese soldier’s point of view, ultimately killed by Aaron’s blond American protagonist. “Sometimes I dream that I come from a place called Alabama,” he says, only to be dragged back to the brutality and carnage of his everyday life. In the end, Aaron’s protagonist survives, but he carries with him the wounds and the trauma of the murder that he was forced into. 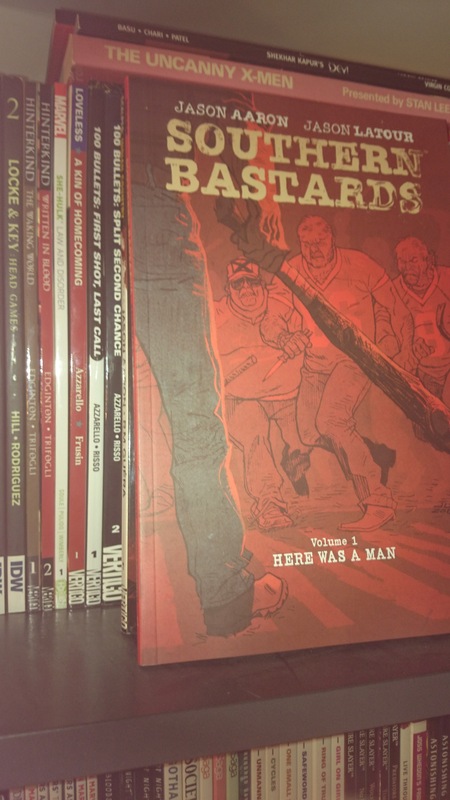 This is a recurring theme, coming up as recently as his brand new creator owned series Southern Bastards, a story about a rural Alabama community, whose inhabitants also carry the trauma and memory of wars (the first trade of Southern Bastards has just come out, I recommend it wholeheartedly). He’s judge, jury and executioner on the reservation, both head of its police force and kingpin of the various crimes committed there. He has committed murders and blackmailed people in order to keep his position. But he’s a complicated character. More than once he says of himself that he’s pursuing a vision for his people. That he is aiming for something higher than profit or money. And indeed, while people cheat him and play their own games on the reservation, seemingly a death sentence in other mafia-style environments, he lets them do what they want, knowing that they have families that need to be fed. 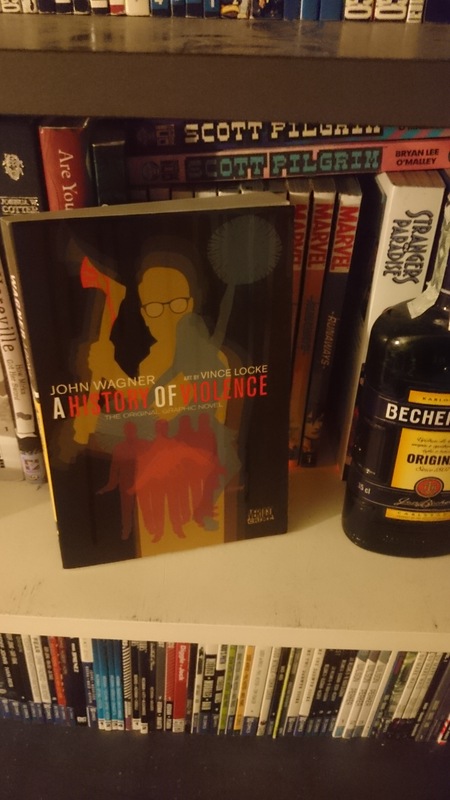 This tension between being a cold murderer and crime boss on the one hand, and a tribe head very conscious of the plight of his people is the main intrigue in the book that goes beyond individual fights and small affairs. Aaron uses flashbacks a lot structuring whole arcs around remembered events. Many of those memories tell us the story of young Lincoln Red Crow, a young American Indian firebrand, fighting for the rights of his people in the 1970s and after. Many of the people involved in current events in the book are shown to have been connected to young Red Crow, including Dashiell Bad Horse, the book’s protagonist, whose mother Gina had also been an activist in the 1970s. It’s not just memories catching up with Red Crow, it’s also some of the crimes he may or may not have committed in his activist past that come to the fore as the FBI opens and pursues an investigation into the murder of two FBI agents in the 1970s. Headshot of Leonard Peltier in 1972. 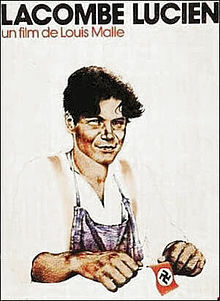 Image from FBI Poster. Unspoken and unmentioned, but always looming in the reader’s mind, is the 1973 Wounded Knee incident, when hundreds of Oglala Lakota occupied the historically significant town of Wounded Knee on the Pine Ridge Reservation in South Dakota. This led to an armed confrontation with no real resolution. Pain and violence followed in the many years after the incident, with a corrupt Indian administration possibly murdering up to 60 of its critics. The Wounded Knee incident brought the terrible situation of Native Americans to national attention. Remember when Marlon Brando declined to accept his Academy award in person, sending Sacheen Littlefeather in his stead? That was sort of in response to the incident, which brought the maltreatment of American Indians by the American government newly into focus, as were many other public appeals and actions by activists all around the nation. Meanwhile, the corrupt head of the reservation, whose actions had resulted in the rebellion by the Oglala activists was left in place, and continued about his business. I think we are supposed to read Lincoln Red Crow from within this context. An activist who encounters a hopeless situation, trying to better the social situation of his people, and finds that fighting corruption with corruption is the only path forward. As we first encounter him, he appears to be close to success. With financing from a Hmong gang, he opens a new casino, poised to make his tribe rich. It’s at this point that things, rotten and precarious for years, start disintegrating. The FBI has infiltrated his tribe, and as the book opens, they are sending another agent to try and get close to him. That agent is the book’s protagonist Dashiell, who is a dark complicated character, but for personal reasons, not for political reasons like Red Crow. This setup is reminiscent of Leonard Peltier, the American Indian activist who was arrested for allegedly murdering two FBI agents on the Pine Ridge reservation shorty after the Wounded Knee incident. In interviews, Aaaron has acknowledged that the Peltier case is one of the inspirations for Lincoln Red Crow (the book even has a direct stand-in for Peltier in the jailed character Lawrence Belcourt), which reinforces the tension in the book. It makes it abundantly clear that we can’t and are not supposed to read Red Crow as a pure antagonist, as a villain, a drug kingpin. Peltier is one of the heroes and touchstone of many civil rights activists, and by referring to him and events at the Pine Ridge Reservation, Aaron lets us understand that this is a morally murky situation. At the same time, viscerally, he uses the broad and dark brush of the tradition he employs. Murder is murder and it’s shown in brutal detail. Suffering and the desperation of those who are not part of Red Crow’s success are highlighted and stressed. As you can tell, I find Red Crow’s vision and past to be the driving force of the books. The protagonist is a player in a larger game whose parameters have been established through Red Crow’s actions. Dashiell Bad Horse is much more of a conventional noir character. Haunted by his own past, falling in and out of drugs, and soon, haunted by the death of his mother and friends, he pushes on in the darkness of “the Rez”. As the books progress, the story gets more convoluted and characterizations improve and deepen. The moral complexities of the book are met by similarly complex art and writing. One would be tempted to call this book a success if not for a vague feeling of unease. That unease comes from the fact that the author of this book is a white rural boy from Alabama. He is not just telling a story that contains American Indians, he is telling an American Indian story, and while his politcal intentions are sound and smart, as a reader, I remember the protagonist from Sherman Alexie’s searing Indian Killer who is constantly alienated by the benevolent preaching of his non-native friends. American Indian voices are not so loud that a white author’s voice would just be part of a larger chorus. Instead, the American West is largely explored by white writers with many American Indian voices drowned in the process. An example in the crime writing genre is Todd Downing, a writer of the Choktaw Nation, who, in the early 20th century, wrote a couple of mystery novels set in the American southwest, mostly in Mexico. He also taught Choktaw language and culture and wrote books on the struggles and conflicts in the borderlands that prefigure Cormac McCarthy’s work. Downing is very careful in how he frames indigenous experience. He shows us how the violent stereotype of the American Indian and the Mexican both are flawed and how they contribute to unequal treatment by the police force. Yet his voice almost vanished completely. His study of indigenous Mexican culture The Mexican Earth wasn’t published until after his death and his novels fell out of print for decades until a small press decided to reprint them in 2010. The “inconvenient Indian”, to borrow a phrase from a book by Thomas King (who is half Cherokee) is not well represented in literature where the audience tends to prefer tales of the American West or southwest written by white authors. There is a stereotype trap as to what stories are told about American Indians and what stories are not. Thomas King’s short story collection A Short History of Indians in Canada is among the best attempts at pointing out those problems. 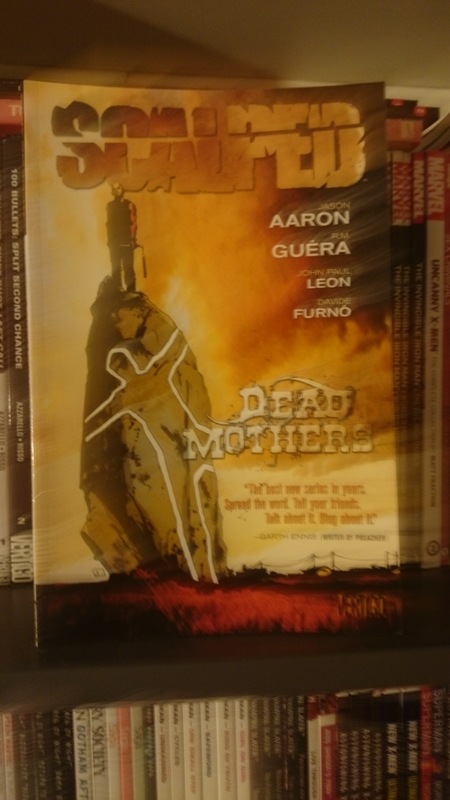 And having Jason Aaron jump right in and offer a portrayal of what is basically the Pine Ridge reservation, with all the historical injustice perpetrated against its inhabitants, it doesn’t sit right with me. Especially since the book is so one-dimensionally dark or gritty. It is complex, yes, but within this dark framework. If you add in the more complex depictions of white rural poverty in books like Southern Bastards, what the reader is left with is a kind of irritation. This irritation that the book offered to me is augmented by some other questionable depictions. The most egregious one is the character of “Mr. Brass”, a Hmong enforcer who came to get the Rez and the Casino back on track. In the process he doesn’t just turn out to be a killer. He’s a sadistic murderer who sodomizes and tortures his victims before killing them. As a character, he is not far from a James Bond villain from the Roger Moore era. This fits the overall use of pulpy ideas, but given Aaron’s other choices with respect to whiteness and color, this is not helpful. None of this irritation, incidentally, takes away from the skill involved in creating this book. It’s smart, powerful and emotionally challenging, with some storylines that can hold up to some of the best work created in comics. It’s just not perfect, especially in the cultural politics of the book itself.